Instantly downloadable sheet music by Ed Lojeski for choir and piano (SATB) of MEDIUM skill level. Alle Notenausgaben von We Belong Together (from Toy Story 3) zum Herunterladen bei VirtualSheetMusic. Alle Noten von Ed Lojeski zum Herunterladen bei VirtualSheetMusic. Instantly downloadable sheet music by Mark Owen for choir and piano (2-Part) of MEDIUM skill level. Instantly downloadable sheet music by Jay Livingston for choir and piano (SSA) of MEDIUM skill level. Alle Notenausgaben von Mona Lisa zum Herunterladen bei VirtualSheetMusic. Instantly downloadable sheet music by Bruce Hart for choir and piano (2-Part) of MEDIUM skill level. Alle Notenausgaben von Sesame Street Theme zum Herunterladen bei VirtualSheetMusic. Alle Noten von Bruce Hart zum Herunterladen bei VirtualSheetMusic. Instantly downloadable sheet music by Al Kasha for choir and piano (SAB) of MEDIUM skill level. Alle Notenausgaben von Candle On The Water zum Herunterladen bei VirtualSheetMusic. Alle Noten von Al Kasha zum Herunterladen bei VirtualSheetMusic. 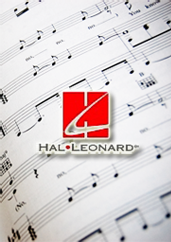 Instantly downloadable sheet music by Lorenz Hart for choir and piano (SATB) of MEDIUM skill level. Instantly downloadable sheet music by Mort Stevens for choir and piano (2-Part) of MEDIUM skill level. Alle Notenausgaben von Hawaii Five-O Theme zum Herunterladen bei VirtualSheetMusic. Instantly downloadable sheet music by Edwin R. Hawkins for choir and piano (SATB) of MEDIUM skill level. Alle Notenausgaben von Oh Happy Day zum Herunterladen bei VirtualSheetMusic. Alle Noten von Edwin R. Hawkins zum Herunterladen bei VirtualSheetMusic. Instantly downloadable sheet music by Adele Adkins for choir and piano (SAB) of MEDIUM skill level. Alle Notenausgaben von Rolling In The Deep zum Herunterladen bei VirtualSheetMusic. Instantly downloadable sheet music by Robin Gibb for choir and piano (SATB) of MEDIUM skill level. Alle Notenausgaben von How Deep Is Your Love zum Herunterladen bei VirtualSheetMusic. Instantly downloadable sheet music by Matthew Gerrard for choir and piano (SATB) of MEDIUM skill level. Instantly downloadable sheet music by Freddie Mercury for choir and piano (SSA) of MEDIUM skill level. Instantly downloadable sheet music by Danny Elfman for choir and piano (SATB) of MEDIUM skill level. Instantly downloadable sheet music by Savan Kotecha for choir and piano (SAB) of MEDIUM skill level. Alle Notenausgaben von The Best Of Glee (Season Two Medley) zum Herunterladen bei VirtualSheetMusic. Alle Noten von Savan Kotecha zum Herunterladen bei VirtualSheetMusic. Instantly downloadable sheet music by A.R. Rahman for choir and piano (SATB) of MEDIUM skill level. Alle Notenausgaben von Jai Ho (from The Motion Picture Slumdog Millionaire) zum Herunterladen bei VirtualSheetMusic. Instantly downloadable sheet music by Jeffrey Steele for choir and piano (SATB) of MEDIUM skill level. Alle Notenausgaben von I Thought I Lost You (from Bolt) zum Herunterladen bei VirtualSheetMusic. Alle Noten von Jeffrey Steele zum Herunterladen bei VirtualSheetMusic. Instantly downloadable sheet music by Richard O`Brien for choir and piano (SAB) of MEDIUM skill level. Instantly downloadable sheet music by Robbie Nevil for choir and piano (2-Part) of MEDIUM skill level. Alle Notenausgaben von We`re All In This Together zum Herunterladen bei VirtualSheetMusic. Alle Noten von Robbie Nevil zum Herunterladen bei VirtualSheetMusic. Instantly downloadable sheet music by Mark Brymer for choir and piano (SSA) of MEDIUM skill level. Instantly downloadable sheet music by Tom Kenny for choir and piano (2-Part) of MEDIUM skill level. Alle Notenausgaben von The Best Day Ever zum Herunterladen bei VirtualSheetMusic. Alle Noten von Tom Kenny zum Herunterladen bei VirtualSheetMusic. Instantly downloadable sheet music by Mort Stevens for choir and piano (3-Part Mixed) of MEDIUM skill level. Instantly downloadable sheet music by Edwin R. Hawkins for choir and piano (SSA) of MEDIUM skill level. Instantly downloadable sheet music by Adele Adkins for choir and piano (SATB) of MEDIUM skill level.